Strike up the band! 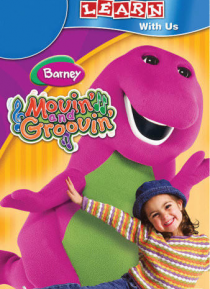 BArney and his friends are movin' and groovin' to the beat of the music! As they learn about rhythm and create their own musical instruments, BArney leads the band with a rat-a-tat-tat and a rooty-toot-toot. And they discover there are lots of ways to get a move on as they do the Baby Bop Hop and the Dino Dance. Then, after wiggling through a game of Simon Says, they're off to … the races. BArney's friends discover the fun of movement while making beautiful music together!